#TriviaTime: The Stories Behind These Famous Fashion Brand Logos Will Surprise You! We know how much you love drooling over these brands. But, did you know that these high-end fashion brands do have interesting stories to tell about their logo? We did a little digging and found some interesting tales to tell. Lend us your ears and we'll take you through the history behind their statement logos. The international Chanel logo, known as the symbol of elegance, was designed by Coco Chanel herself in the year 1925 and continues to remain the same ever since. Coco Chanel was one of the renowned designers of all times. The story that revolves around the interlocking C (one facing forward and one facing backwards) tells us that the logo was inspired by the glass stained window and architectural design of a chapel where the designer supposedly spent the latter half of her childhood. The other story that revolves around it claims to be an inspiration from Chateau Cremat's vaulted arches, a place in Nice, France, where the designer attended a lot of parties hosted by the American heiress Irene Bretz. Also, have a look at 10 Gorgeous Luxury Handbags *Worth* Saving Up For! 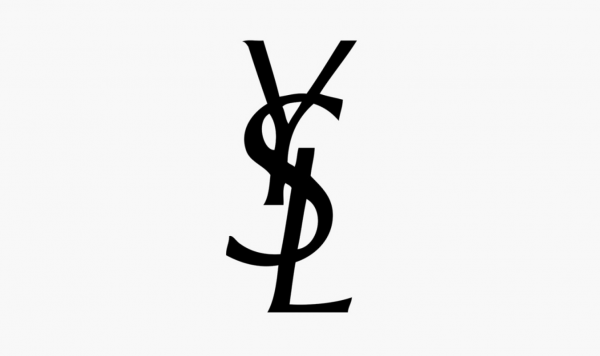 The iconic YSL logo is blended with harmonious and subtle way, without mixing any letters. The logo was designed in 1961 by a Ukrainian French painter and commercial poster artist named Adolphe Mouron Cassandre. He was famous for designing excellent magazine covers and striking advertisements. The artist with all his talent managed to create a recognisable logo without mixing any of the words. 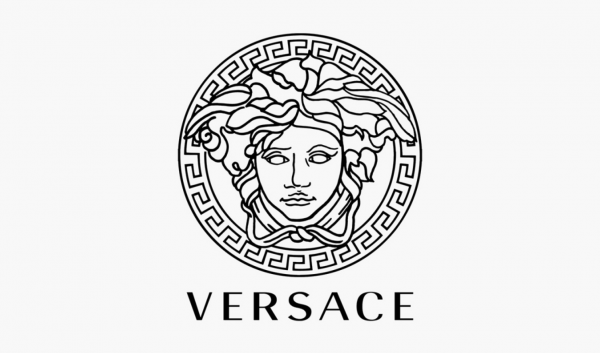 Versace's logo is the head of a Greek mythological figure called Medusa. The story that surrounds it is that Gianni Versace was inspired by Medusa as she makes people fall in love with her and there is no way back. Medusa demands authority, attractiveness and fatal fascination. He wished to have the same effect on his brand too. 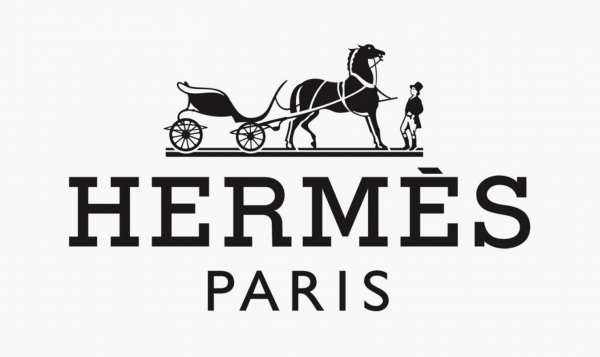 Ever wondered why Hermès has a horse and carriage as it's logo. The luxury brand happened to begin with a small workshop in Paris that made harnesses, creating beautifully stitched and harness and bridles with high-quality leather for horses owned by European noblemen. Originally designed by Dr Rudolf Wolf in the year 1929, the logo is inspired by this heritage. In 1922, the American zip arrived in France, and Hermès managed to get exclusive rights to be the first to use it. It appeared in one of their first leather handbags. Nike's "Swoosh" sign on the logo represents winning. You might wonder why such an easy logo. Well, they do have a story behind it too. Nike is the name of the Greek goddess of victory and the swoosh sign represents the wings of the goddess. Hence, the name and the logo. 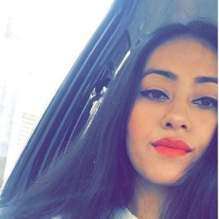 In addition to that the co-founder, Phil Knight, in one of his interviews revealed that the check mard also represents speed and paid a college student $35 to make the logo. 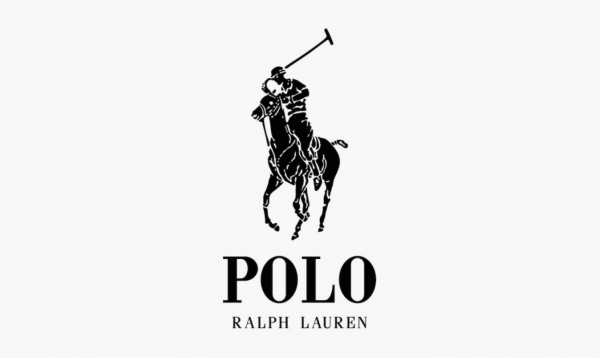 Ralph Lauren logo is always featured on the right side of the main collar label. The logo was intricately made of with identifiable horse and a rider. The tale that floats around is that Ralph Lauren identified the polo sport with elegance and style. It started as a classic tailored men's and women's suit which is now famous for its polo shirts. The polo shirts came into existence in 1972 with 24 different colours. The brand today has become a status symbol all across the world. Lacoste was founded by French tennis stars Rene Lacoste and Andre Gillier in 1933. The logo dates back to 1947when Lacoste won a bet against the captain of the French Davis Cup team. The prize was an alligator-skinned suitcase. 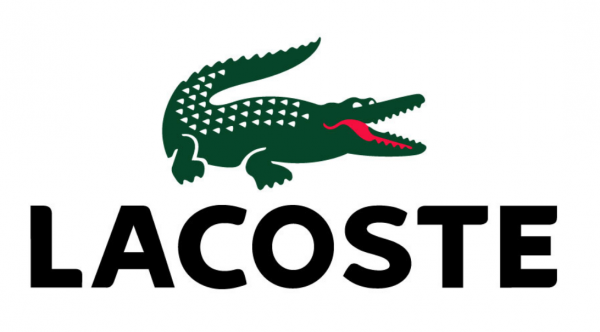 Due to this, Lacoste got its new tag "The Aligator". It changed to "The Crocodile" later on. It got so famous with the new nickname that they started getting giant crocodiles embroidered on their clothes. Burberry is a high-end fashion clothing brand that is famous for its perfumes, tartan pattern and accessories. 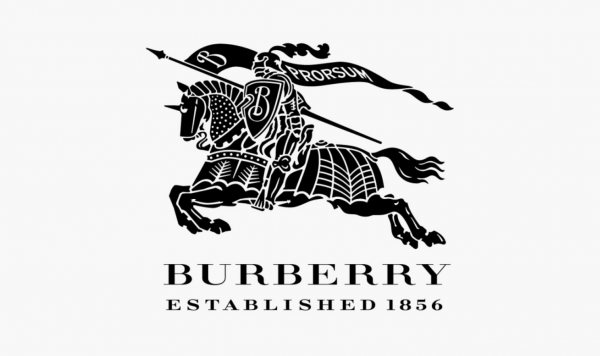 Its Equestrian knight carrying a shield logo was developed in 1902. The knight represents pride, purity and grandeur while the shield he bears depicts protection which refers to the trench coat or their innovation in the realm of outerwear. It also features a Latin word "Prorsum" on the flag, which means to go forward. 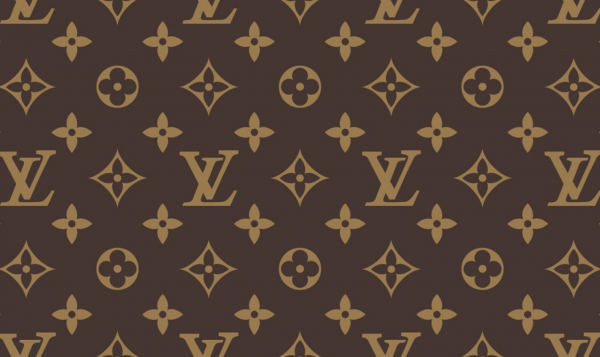 The interlocking L and V form a monogram that belongs to Louis Vuitton but was created by Georges Vuitton in 1896 and is widely regarded as one of the most iconic and memorable fashion logos ever created till date. The logo depicts a Japanese-inspired flower motif (dominant or recurring design) which was created to prevent any fake copying of the Parisian company’s designer luggage as it is one of the earliest examples of fashion branding. The brown and the beige colours on the logo resembles that of a checkboard. Also, have a look at #KnowYourLabels: *This* Is The Most Valuable Luxury Fashion Brand In The World! Much like Louis Vuitton, Gucci's logo too was designed by the son of Guccio Gucci, named Aldo. He designed the double G logo, inspired by his father's initials, in 1933 when he joined the family business. It still remains as an important tribute to the man who started it all. 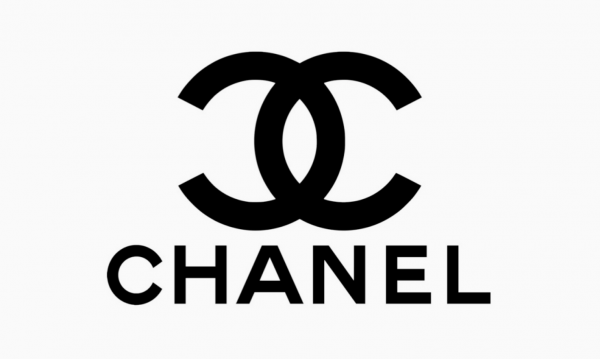 On the other hand, the logo resembles that of Coco Chanel's. It is often displayed in gold which signifies luxury and extravagance of the Gucci brand. Also, have a look at Our Favourite Luxury Brands Are Going Fur-Free & We Are So On Board!